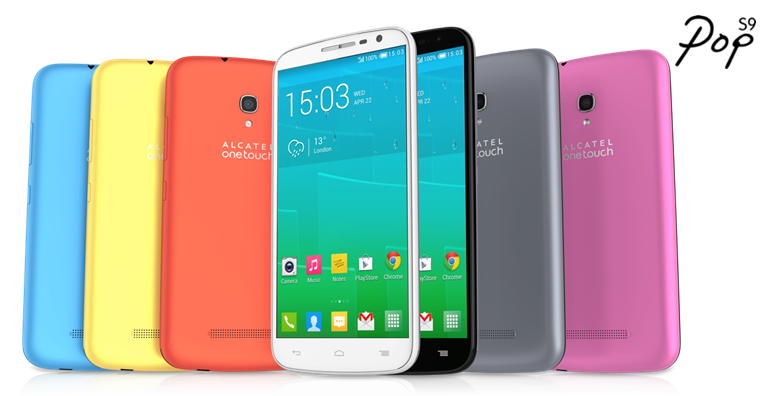 Nobody could stop ALCATEL ONETOUCH from bringing out the POP S3, POP S7 and POP S9 in the market to give people a taste of brightly colored LTE smartphones at an affordable price. 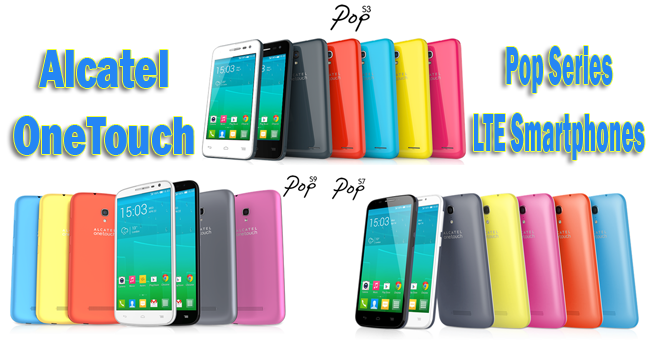 POP series offers the best LTE smartphones experience within the easy reach of customers. With screens ranging from 4” to 6” (POP S3-S9) you can choose the size that fits your needs and then choose from the wide range of bright colors that fits your personality. Ideal for streaming over LTE, the POP S3, POP S7 and POP S9 are packed with user-focused features. Perfect for navigation with One Finger Zoom, the POP series boost with long battery life making it awesome for streaming, browsing or creating content on the go. When you have the power of LTE, you won’t help but stream as much as you want. 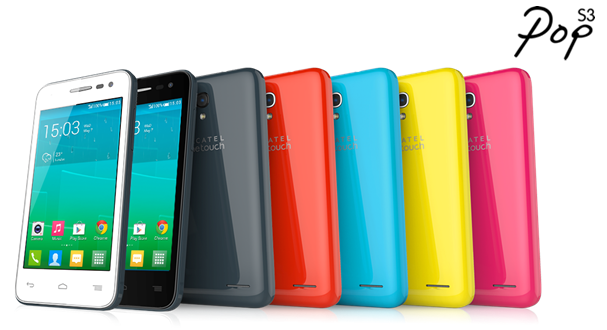 Trust the POP S3 with 4” display, to give you the best browsing experience with Quad Core processing. Take uniquely high quality Full HD videos with its full screen camera with video stabilization. 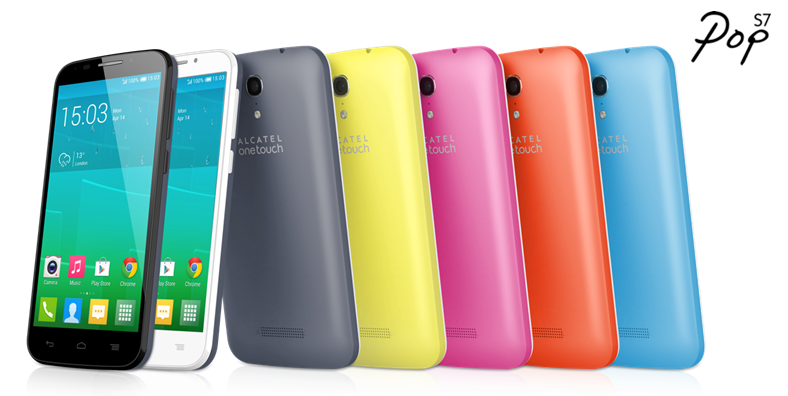 With fashion and style needs in mind, POP S3 comes with pop bright colored battery covers. Choose from Flash Yellow, Fresh Turquoise, Hot Pink, Red and Slate to match your style of the day, making it not just a phone but also an accessory. If you want more browsing time while enjoying an HD movie with a 5” IPS display, trust POP S7 with a long time browsing supported by 3000mAh battery. The screen also offers up to 170 degree viewing angle with bright and vivid images. POP S9 promises the best time with Cloud. With 6” IPS display, HD videos and games will be more sharp and smoother. Compatible with Sidekick Bluetooth, you can still browse and stream even while on video call. Keep in style with POP S7 and S9 as you choose between Mellow Yellow, Soft Blue, Urban Haze, Cream Tangerine and Cream Pink colors. Don’t just stop with wonderful colors, maximize your enjoyment with BoomBand for vibration and LED alerts; Sight Flip Case with integrated LED matrix for alerts;and AeroFlip cover with integrated transparent panel for access to key features.